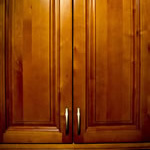 If you feel a bit overwhelmed about redoing your kitchen cabinets, you'll be glad you stopped at this website. 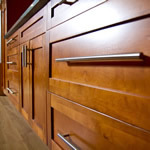 Here, you'll find videos about refacing options, installing cabinets, and other topics. You'll find images of kitchens with cabinets and accents appropriate for traditional, Queen Anne, Craftsman, country, contemporary, Danish and other architectural styles. 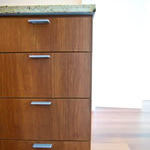 Read articles about refacing versus replacing cabinets, ways to light cabinets, construction differences between inexpensive and finer cabinets, special units like pull-out pantries and appliance garages, costs of kitchen cabinets, the amount of time to allow for the job, and much more. Want to locate local contractors, check their reputations, and learn about specific details (like a firm time schedule) to include in the contract? Want to find out about any available special offers? These are among the many relevant topics you'll find here. 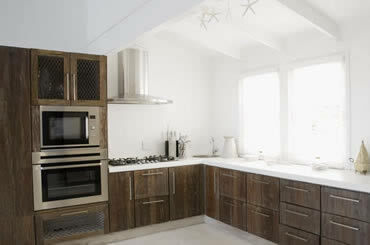 Kitchen cabinets are a big investment, so research further to ensure that you optimize your investment.